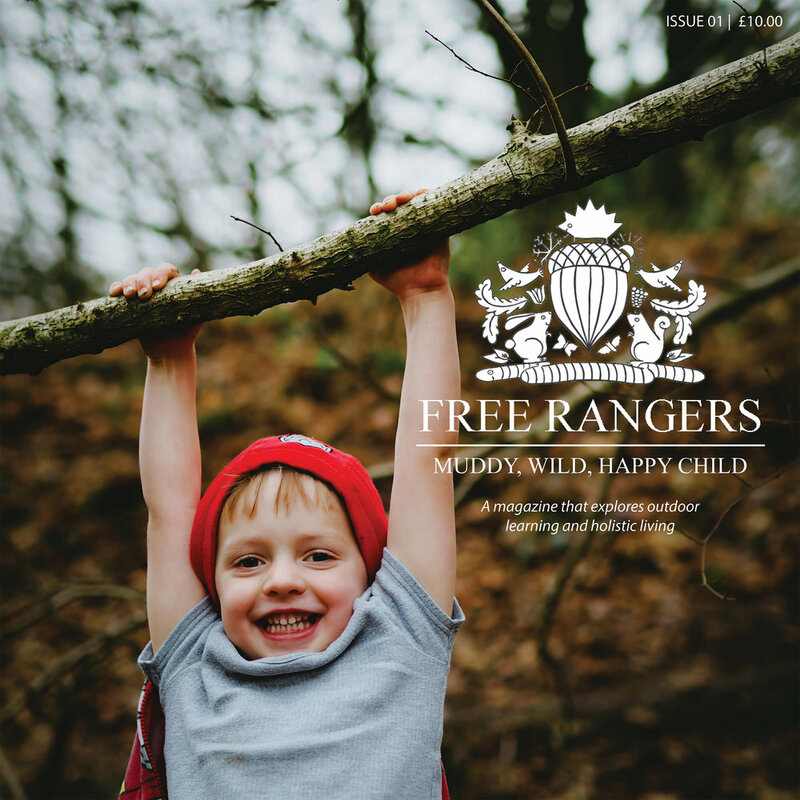 We love working with tools at Free Rangers as they are a key component of Forest School, providing another avenue of access to the natural world. Tools help create and inspire, they help us understand the world as well as promote deep-seated confidence and self-belief. They're also pretty useful too! 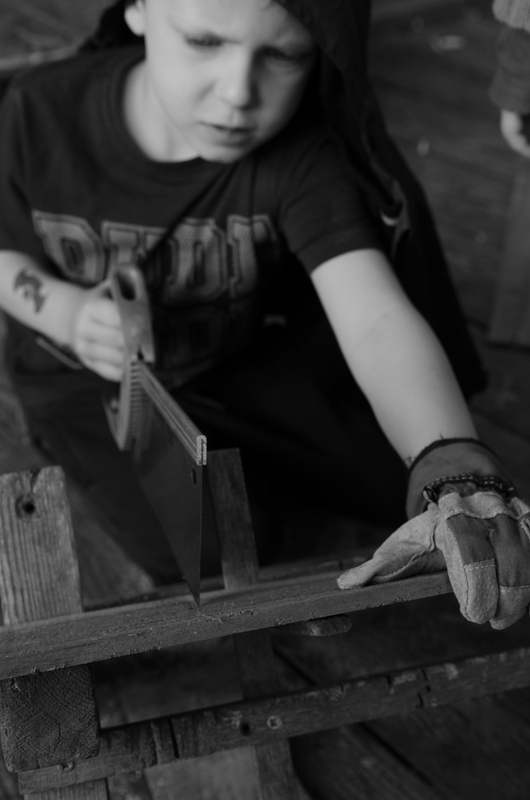 Tool work with children is something that lies very close to my heart. My Dad was a carpenter so I grew up with tools and I was always fascinated by the variety available in my Dad's workshop. From different drills to clamps, to huge saws and wood shaping equipment to the very smell of the sawdust, it was all very evocative and inspiring. Dad was always willing to show us how things worked and loved helping on school projects. It was a veritable sweet shop for me as a boy. Now I've got my own workshop space at Free Rangers (and by a workshop I mean glorified cupboard) I very much want to inspire the children at Free Rangers to get a handle on some tools as well. Recently we gave the children a variety of tools to experience, both electric and hand powered. The first week saw the children have some further tuition on the tools as we looked at each one in turn, how it worked and the safety of its use. We use the word "respect" a lot at our Forest School sessions; for the fire, for nature, for each other and ourselves. We extended this concept to the tools this week as well. What I don't like to use is the word "dangerous". Yes, I want the children to respect the tools but I don't want them to fear them. Tools are best used confidently and effectively and they can't do that if there is an underlying fear of them. Promoting safe and positive use is key here, guiding the children on the do's and don'ts, but also giving them enough time to actually experience them properly. A rushed session where you end doing most of the work is not going benefit you or the children. During the following week the children had creative license to go and use the tools as they saw fit. The children could access the hammers on their own, but the drills and saws often needed a little supervision to the get the children set. Once they had got to grips with them we introduced them to some open resources too. Now, I'm a bit of a hoarder. I collect screws, washers, nails, odds and ends, even random pieces of wood in the belief (perhaps misguided belief but I'm yet to be persuaded otherwise!) that I'll one day need them. Well, that week came around, and I have to say it was nice getting rid of it! But the children put all those random oddities to great use and made some amazing creations including our cumulative art piece nicknamed by the children as "The Gate". The kids loved adding to the piece, hammering, screwing or hanging pieces on to it to create the masterpiece it is now. The following week, we opted to make something the children could take home, so the children sawed a small piece of timber, and then hammered some nails into to support a colourful array of elastic bands. It was a brilliant activity to trigger some gross motor skills and hand eye co-ordination, as well as the fine motor skills and creativity required to apply the elastic bands in a decorative and imaginative way! We frequently learnt the hard way that those nails really needed to be hammered in well otherwise the elastic bands would pull them out! Throughout these weeks we have striven to give the children time and space to be as creative as they want with the tools. Importantly, we also try and promote independent use as well, as it provides a much better foundation for self-directed and deeper level learning in the future as well as building upon their own understanding of how the tools function. The learning is real that way. We don't spoon feed here at Free Rangers! I thought the children did brilliantly throughout these weeks, and I sincerely hope they haven't started knocking through walls in the living room! I was seriously impressed at the aptitude in the children's approach to the tools and whilst some took longer to work out the best way to use them, often using a non-dominant hand on the hammer, or spinning the drill the wrong direction, it comes with experience. This is why we spent a solid 4 weeks focusing solely on tools and their use. The more they use them, the better they get. The more confident they are in their use, the more creative and confident in themselves they become. These skills and confidence can then be applied elsewhere in their lives which makes the whole process rather worthwhile don't you think? Do you like to use tools with your children or setting? Would you like to use them more but not sure where to start? What's your working tool ethos? Drop a comment below!